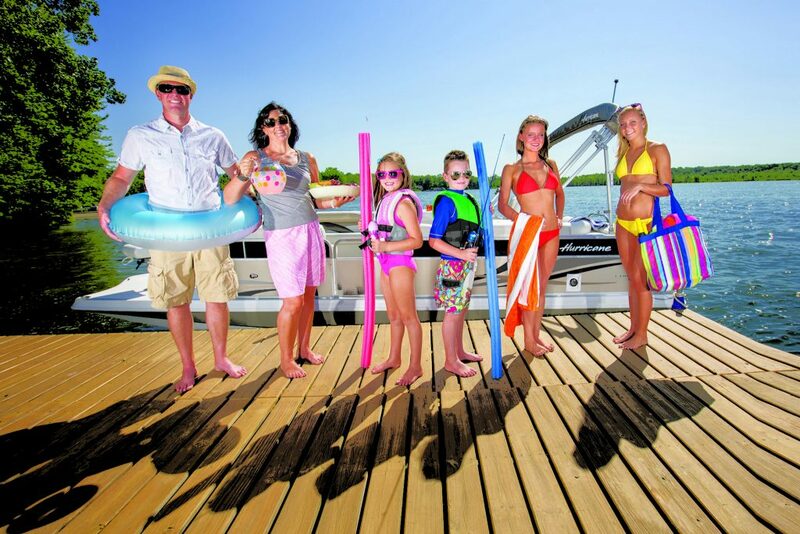 The largest manmade lake in the Middle of United States is Lake of the Ozarks, which covers 55000 acres. The lake was the byproduct of constructing the Bagnell dam, which spans 2350 feet across the river that created the Lake of the Ozarks. In total length, the lake is over 90 miles and has a curvy feature that earned it the nickname “The Magic Dragon”. Nowadays since the lake came about it has attracted tourist from around the states and from around the world to join in on the many pleasures it offers. Residents of Missouri go to their great lake in all seasons to enjoy their stay at one of the many lakeside holiday homes, so they can get away from the hustle and bustle of the big cities and people from around the world come to take part in all water sports and all around fun activities, which includes hiking the beautiful surrounding woodlands. The Anderson Holly Cove, which is located within the Lake of the Ozarks State Park. During the 1920’s when the land was acquired, there were 17500 acres set aside to preserve the natural lands surrounding the lake. That land is now the Lake of the Ozarks State Park. It is the largest state park in Missouri. Over the course of years, the Anderson Holly Cove has become the biggest party place on the lake, even earning itself the nickname “Party Cove”. The cove gets pretty rowdy during big holidays, especially during the fourth of July, where an estimated 3000 boats gather for the celebration. The lake has two more national parks on another arm. The lake is great year round for those freshwater anglers looking to reel in some giant bass as well or maybe even some rainbow trout or even some crappie or catfish the lake has them all. The fishing is always good, even when it starts to get a little cooler, the bass of the lake start to come back to the shallows making it easy for some quick catches. 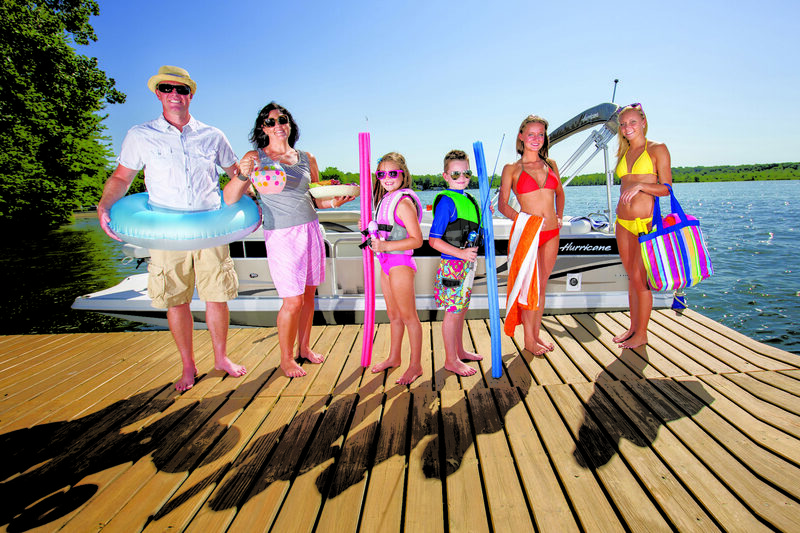 Boat rentals can be found all over the shoreline, with anything from small bass boats to cruisers for a nice day on the water alone or with the whole family. In the vast wilderness surrounding the lake, there are nearly 13 trails great for hiking or biking and many even enjoy four wheeling on the same trails. For the outdoor type of person, there is plenty to do and miles of trails to hike and cliffs to climb. When it comes to the “in the wood” ways to spend your time the options are plenty. Lake of the Ozarks has 6 historic bridges that are over 500ft high and because of this bungee jumping has become very popular in the area. Many companies set up visitors with harnesses and gear right on the bridges and the instructors will even give you a push if you need it too. Most people appreciate the gesture as plummeting down 200ft before the rope tightens is quite scary for most. On the lake the dining is always good, having over 150 restaurants there is no reason it shouldn’t be a great place to dine. There are just a few chain restaurants around the lake, most are family owned and operated places and the food is always good around the lake. Some serve freshwater fish right from the lake and some cook up some of the best barbeque ribs in Missouri as some say but no matter where you dine on the lake, one thing is for sure that it will be great food.